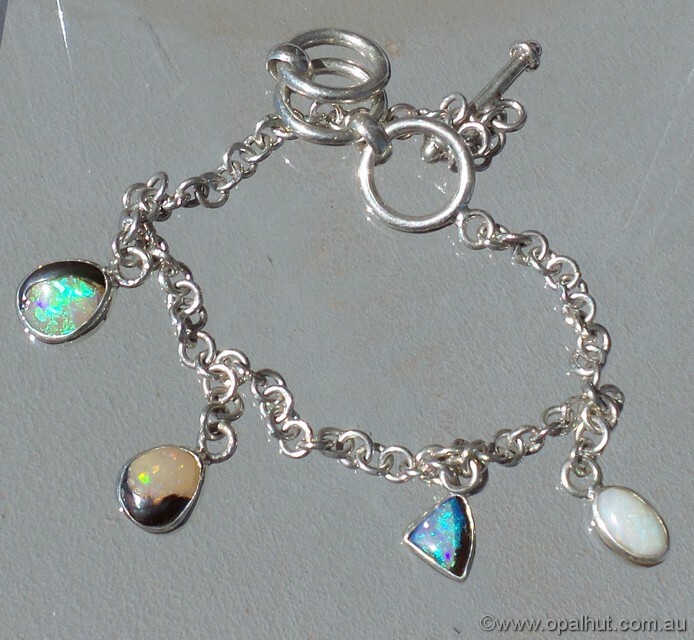 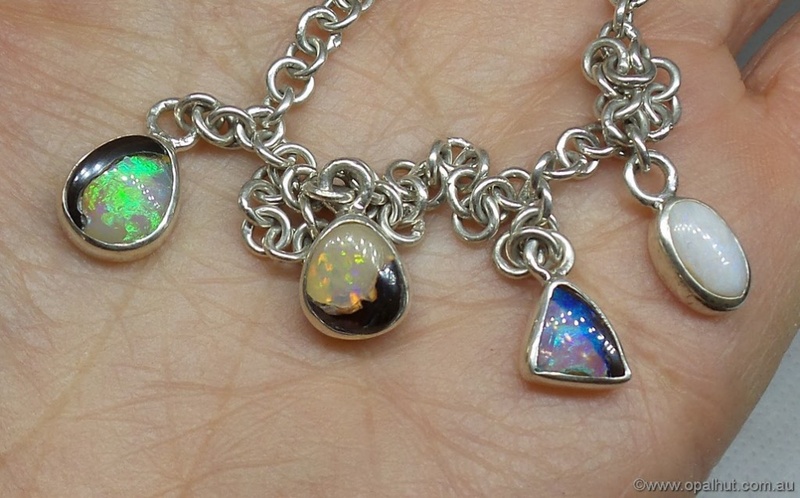 Sterling Silver Bangles and Bracelets featuring the beautiful Yowah and Koroit Nut opals as well as the famous Queensland boulder opal. 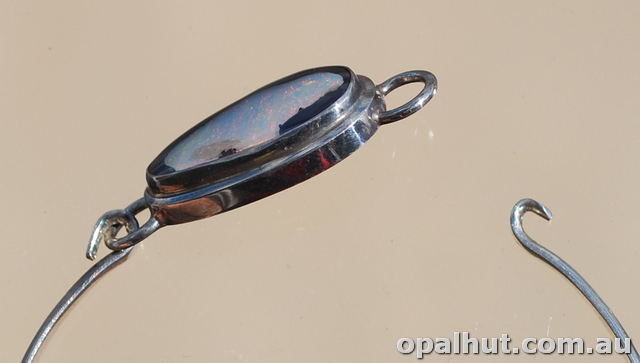 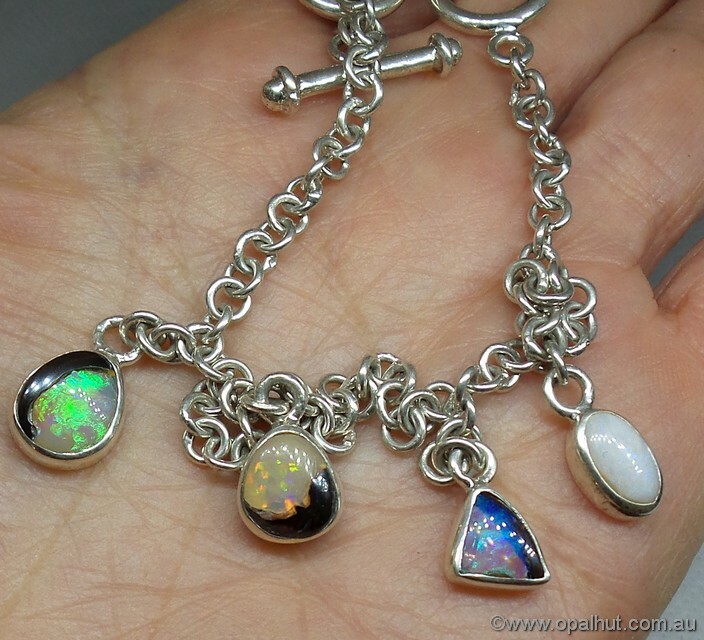 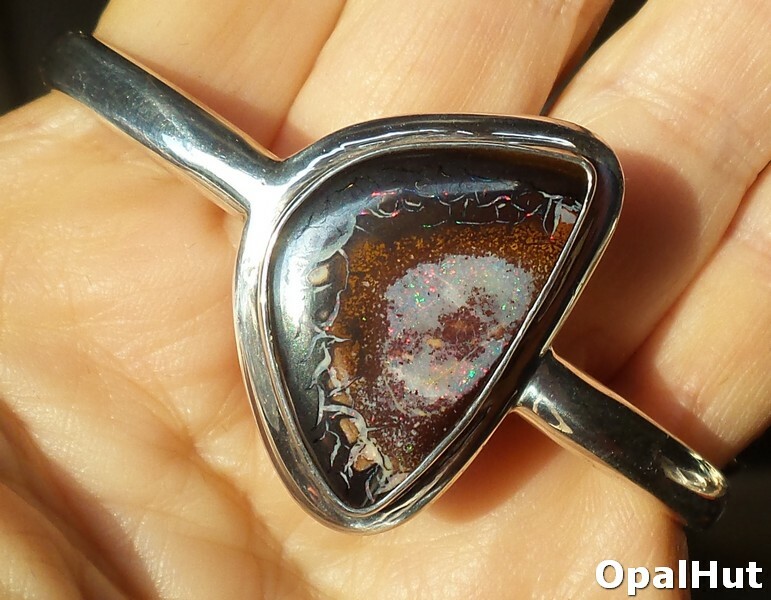 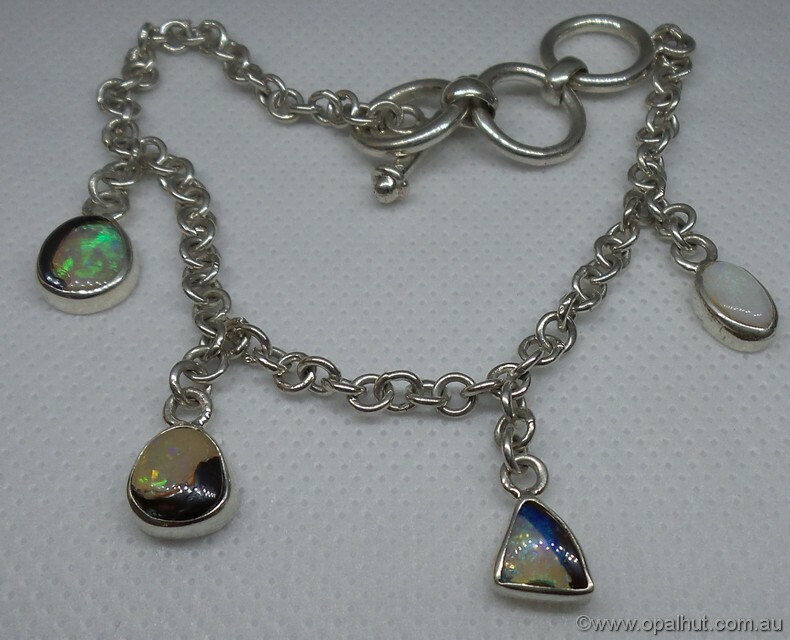 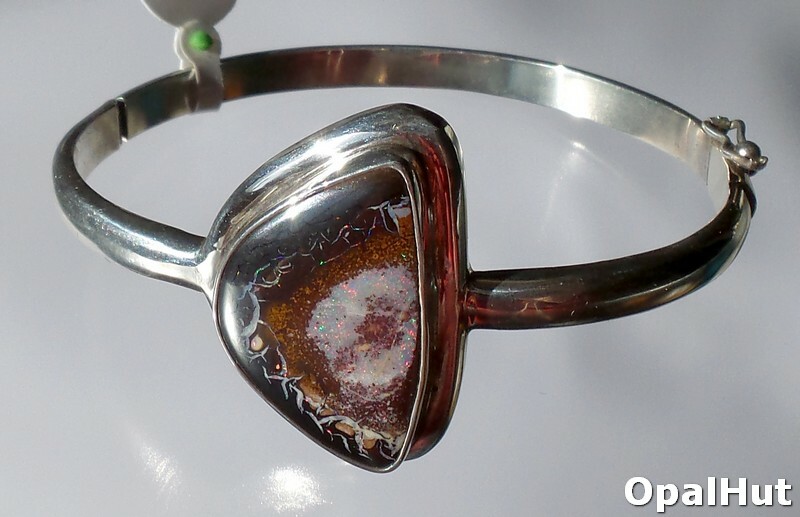 Pretty ironstone potch and opal petterns bezel set in sterling silver. 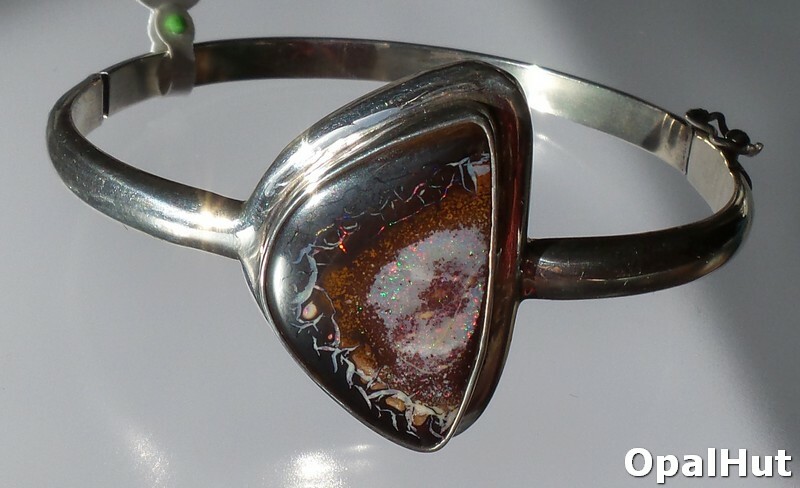 This is a slice of a Yowah Nut Opal with a pale opal centre surrounded by red ironstone and another layer of potch patterns and dark ironstone. 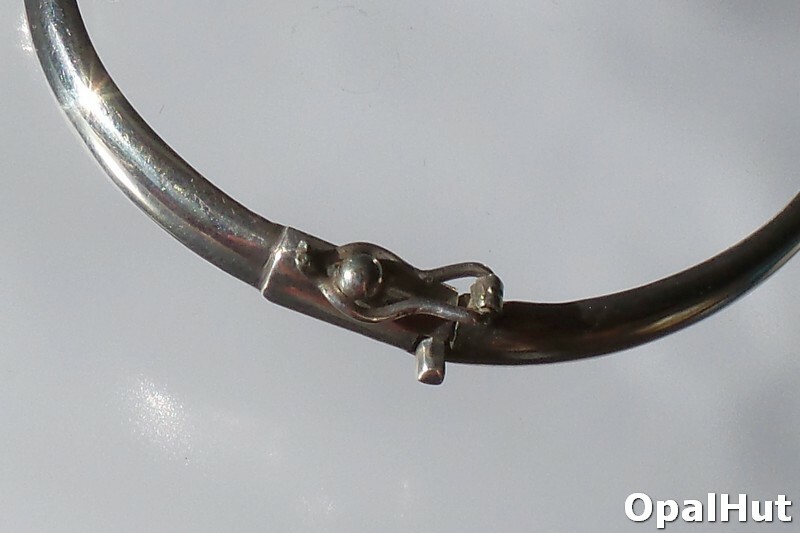 Band is hinged and features a secure latch which clips over a small ball. 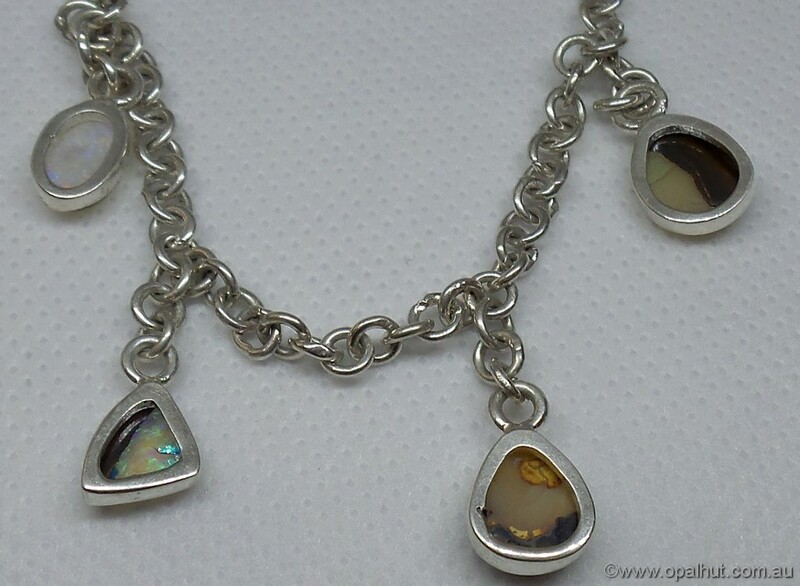 Sterling silver setting and band. 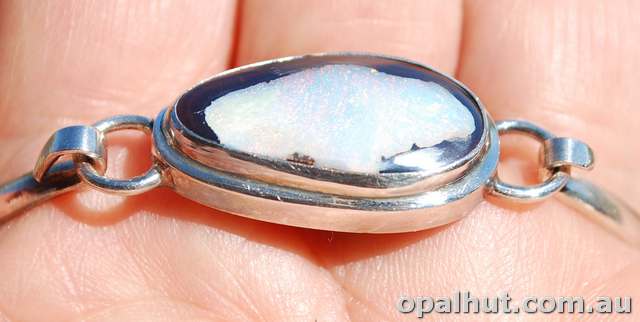 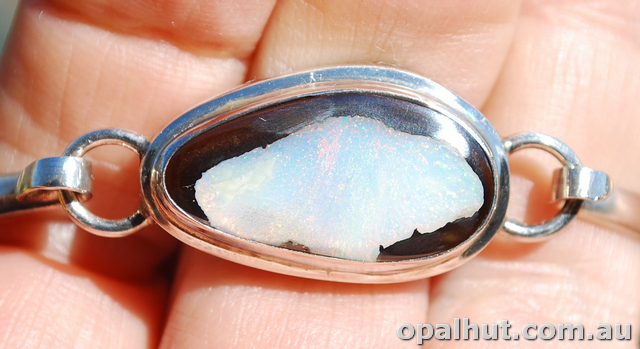 Opal measures approx 25mm x 15mm. 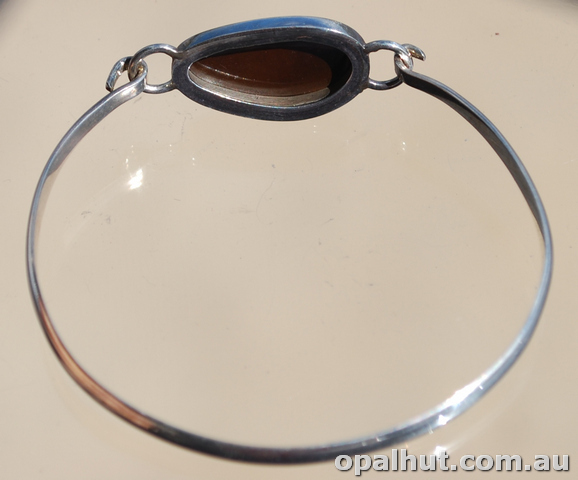 Inside diameter of bangle is approx 6cm x 5.3cm.